Little Big Town is looking sharp all together on the red carpet! 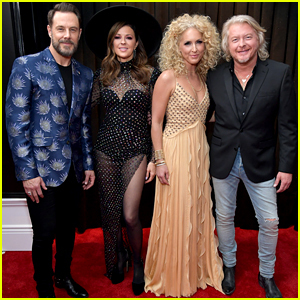 The country music group – consisting of Jimi Westbrook, Karen Fairchild, Kimberly Schlapman and Phillip Sweet – posed together on the red carpet at the 2019 Grammy Awards on Sunday (February 10) at the Staples Center in Los Angeles. The group is also set to perform during the ceremony, including a performance with Maren Morris, Kacey Musgraves, Katy Perry and Miley Cyrus in tribute to Dolly Parton. The group was nominated for Best Country Duo/Group Performance, as well as Best Country Song. FYI: Philip is wearing a Kenneth Cole jacket, J Brand pants and The Frye Company‘s shoes. Jimi is wearing a Ted Baker London jacket, J Brand pants, and AllSaints shoes. Kimberly is wearing a J Mendel dress, Giuseppe Zanotti shoes, Neil Lane jewelry, and Norman Silverman diamonds. Karen is wearing a Raisa & Vanessa dress and Jimmy Choo shoes. Pregnant Carrie Underwood, Miranda Lambert & More Get Honored at CMT Artists of the Year 2018! Carrie Underwood, Miranda Lambert and Maren Morris step out in style to attend the 2018 CMT Artists of The Year Awards held at the Schermerhorn Symphony Center on Wednesday (October 17) in Nashville, Tenn. The three ladies were honorees at the event alongside Kelsea Ballerini, Little Big Town’s Karen Fairchild and Kimberly Schlapman, Loretta Lynn and Lady Antebellum‘s Hillary Scott. 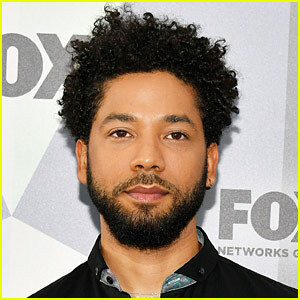 Also in attendance was Tori Kelly, Dierks Bentley, Keith Urban, Elle King, Sheryl Crow, Hillary‘s bandmates Dave Haywood and Charles Kelley, JoJo Fletcher and her hubby Jordan Rodgers, Martina McBride, Danielle Bradbery, Smokey Robinson, Sissy Spacek and her daughter Schuyler Fisk, and Maren‘s partner Ryan Hurd. FYI: Carrie is wearing a Tadashi Shoji dress, Marli New York diamond earrings and rings. Miranda is wearing a JOVANI jumpsuit. Maren is wearing a Raisa & Vanessa dress and Borgioni double finger diamond rings. Kelsea is wearing a Monique Lhuillier dress and Irene Neuwirth jewelry. Hillary is wearing an Ashish dress. Little Big Town‘s Kimberly is wearing a Maria Lucia Hohan gown and Karen is wearing Le Vian diamond rings. Tori is carrying a Ted Baker clutch. Little Big Town Peforms 'Summer Fever' for CMT Music Awards 2018 Opening - Watch! Little Big Town lights up the stage with a super fun opening number at the 2018 CMT Music Awards held at Bridgestone Arena on Wednesday (June 6) in Nashville, Tenn! 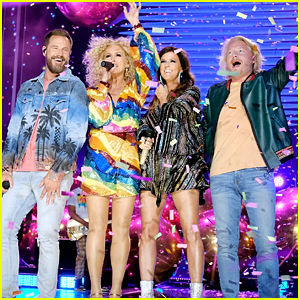 Band mates – Karen Fairchild, Kimberly Schlapman, Jimi Westbrook, and Phillip Sweet – performed their hot, new song “Summer Fever” as they kicked off the awards show. The members of Little Big Town were the hosts for the event honoring some of the biggest names in country music. You can check out the full list of winners from the 2018 CMT Awards here! Watch a clip from their opening below! FYI: Jimi is wearing AllSaints jeans. 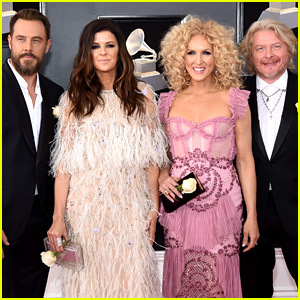 Little Big Town's Grammys 2018 Performance Video - Watch Now! How great was Little Big Town‘s performance of “Better Man” at the 2018 Grammys? The country group got on stage and performed their hot number one hit at the show, held at Madison Square Garden on Sunday (January 28) in New York City. Little Big Town consists of Karen Fairchild, Kimberly Schlapman, Jimi Westbrook, and Phillip Sweet. Watch a snippet from their performance below! Tune in for the Grammys, hosted by James Corden, airing RIGHT NOW on CBS. Be sure to tune in to catch the rest of the show! FYI: Kimberly is wearing a Raisa & Vanessa dress, Steve Madden shoes, and Rona Pfeiffer jewels. Karen is wearing a Destiney Bleu/dbleudazzled bodysuit, a Danielle Frankel jacket, Oscar de la Renta boots, and jewelry by Messika and lynnbayne. Jimi is wearing a John Varvatos jacket, a Kelly Cole tee, J Brand jeans, and Aldo shoes. Phillip is wearing J Brand leathers, a Zara jacket, an AllSaints tee, and Aldo shoes. Little Big Town Wins Award for 'Better Man' at Grammys 2018! Jimi Westbrook, Karen Fairchild, Kimberly Schlapman, and Philip Sweet of the country music band Little Big Town walk the red carpet at the 2018 Grammy Awards held at Madison Square Garden on Sunday (January 28) in New York City. The group is nominated for two awards tonight, one of which they’ve already won, and they are also set to perform during the show. 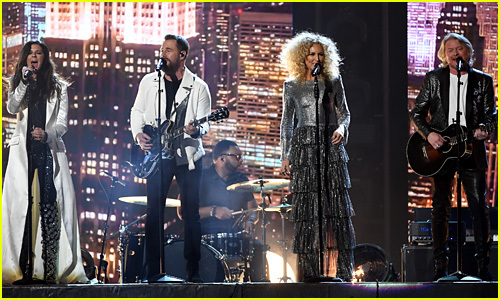 LBT won the award for Best Country Duo/Group Performance for “Better Man” during the pre-show and they are also nominated for Best Country Album, which will be announced during the main show. FYI: Karen is wearing a Monique Lhuillier dress, Brian Atwood shoes, a Judith Leiber clutch, and Dana Rebecca jewelry. Kimberly is wearing a Raisa & Vanessa dress, Steve Madden shoes, a Jimmy Choo clutch, and Jamie Wolf jewels. Jimi is wearing a Brioni tux, Zegna shoes, and a Hugo Boss shirt. Philip is wearing John Varvatos with Aldo shoes. 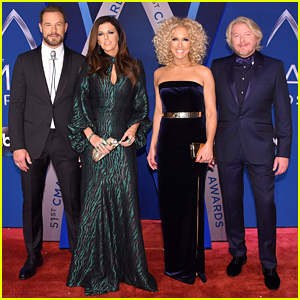 Little Big Town have arrived at the 2017 CMA Awards! The group – Jimi Westbrook, Karen Fairchild, Kimberly Schlapman, and Philip Sweet – stepped out for the big night at the Bridgestone Arena on Wednesday (November 8) in Nashville, Tenn. They are nominated for Vocal Group of the Year, Album of the Year for The Breaker, and Single of the Year and Video of the Year for “Better Man,” which was written by Taylor Swift. Little Big Town will also be hitting the stage for a performance. FYI: Kimberly is wearing a Ieena for Mac Duggal dress and JN Jewels jewelry. Karen is wearing an Andrew Gn dress. Phillip is wearing a Ted Baker suit.